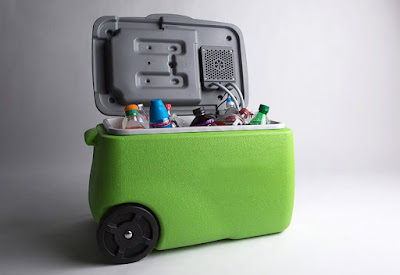 This is a nifty idea....a cooler and an air conditioner. 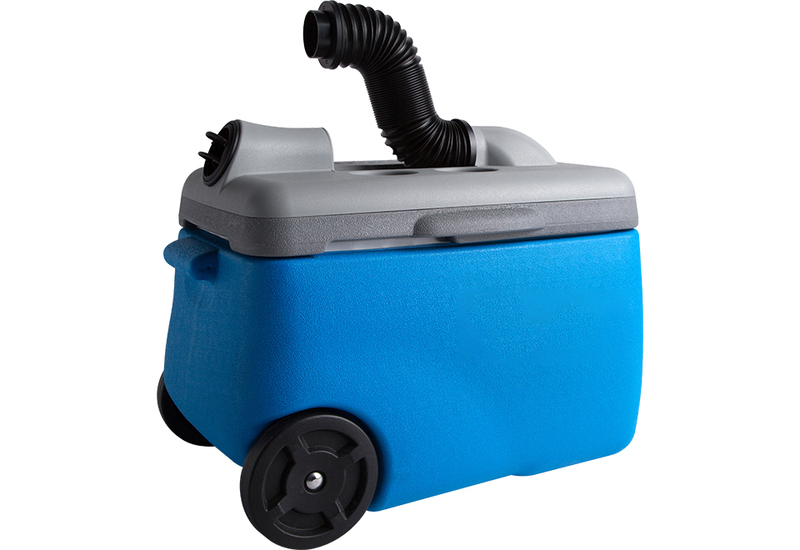 It provides a steady blast of cold air up to 25 m.p.h.. Cools the air 35 degrees below ambient temperature. Cordless and portable. Operates up to 6 hours on a full charge. Ideal for family sports, camping, boating, and tailgating. 2 built-in cup holders. Charger plugs into an AC outlet or DC outlet (auto cigarette lighter).